Dr. David Hawkins concluded in his book, "Power vs. Force" that there is a collective human consciousness that we all have access to even if we are not conscious of it. This radical conclusion marks the beginning of a new approach to scientific thinking and testing allowing for the possibility that human consciousness (spirituality) exists, is powerful and can and does affect matter. 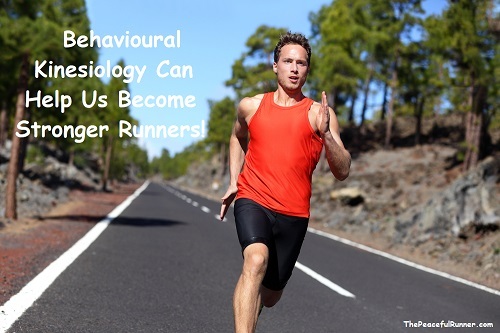 As our muscles are stronger when introduced to positive mental stimuli, we simply need to provide as much positive stimuli as we can while running. Some examples are: smiling, enjoying the beauty of nature, feeling gratitude, thinking of someone you love, and thinking positive happy thoughts. 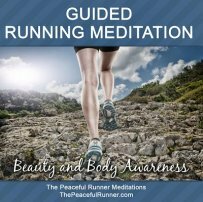 This is why positive affirmations are so effective, such as, "I am a strong and healthy runner." Learn How to Do Muscle Testing! You can easily learn how to do muscle testing to demonstrate the principles of behavioural kinesiology. Watch the video below for three ways you can test muscle strength with various stimuli. It also provides some great background information but if you just want to see the demonstrations, start watching at 3:30. 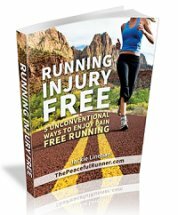 Most of us have already experienced the effect of negative/positive stimuli during our own running experiences. 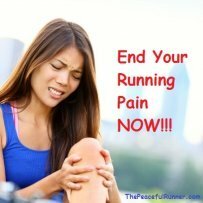 We have had a great, strong run when we are happy and positive and an awful, painful run when we are in a less than positive mood. Now we have scientific evidence that explains why our bodies react this way to positive/negative stimuli. There is just one other concept that all this brings to mind. If the body tests strong for true statements and all positive statements, is this an indication that only positive aspects are true for all of us? Is this our true nature? Is it only our limited beliefs about ourselves that are false and hold us back? How powerful could we be both mentally and physically if we had no limiting beliefs about ourselves? What do you think? Please share your thoughts and comments below.